In connection with the daily operations that come with building landlord ownership and management in the state of New Jersey, we recommend that landlords have a working knowledge of any potential issues to avoid liability. A landlord in New Jersey is subject to some of the strongest pro-tenant landlord laws in the United States. Tenants have many rights, and it is important to understand what these are and what the consequences may be if these rights are violated. We represent both tenants and landlords located in the Hoboken area regarding a variety of matters concerning residential, private, and commercial properties. We offer lease drafting and negotiating services, and we can craft arrangements that prevent future disagreements between parties by reducing any ambiguities concerning the rights and responsibilities of both the property owner and a renter. 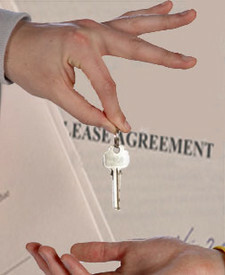 We also handle disputes that may arise between landlords and tenants regarding their lease term. The Law Office of Frank Marciano genuinely cares about your legal situation. We will explain your legal rights and obligations, and we offer reasonable fees and a flexible payment schedule. To set up a consultation concerning any landlord / tenant matter, contact us online or call us at (201) 656-1000.